American author of fantasy, horror, weird fiction, and science fiction. The Dream-Quest of Unknown Kadath Written c. autumn 1926–January 22, 1927, first published in Beyond the Wall of Sleep, Arkham House, 1943. The Shunned House Written October 16–19, 1924. Printed as a novella by The Recluse Press, 1928, but not published. First published October 1937 in Weird Tales 30, No. 4, 418–436. The Mystery of the Grave-Yard Written c.1898-9, published 1959, also known as "The Secret of the Grave"
These collaborations range from amending a few sentences to equal partnerships to complete re-writes. An Elegy on Franklin Chase Clark, M.D. An Elegy on Phillps Gamwell, Esq. An Epistle to the. Rt. Honble Maurice Winter Moe, Esq. Mr. Finlay, Upon His Drawing for Mr. Bloch's Tale, "The Faceless God"
To the Late John H. Fowler Esq. The Inevitable Conflict by Paul H. Lovering Published December 1930, January 1931, in Amazing Stories This has been considered a Lovecraft pseudonym, but most writers believe this is not his work. For The Call of Cthulhu, the relevant records are in the years 1953, 1954 and 1955. According to S.T. Joshi's "H.P. Lovecraft: A Life" (pp. 640-641): Much of Lovecraft's work is in the public domain. This is unquestionably so in terms of the tales, essays, and poems published in the amateur press. As for stories published in "Weird Tales", the six that the magazine owned outright should have had their copyrights renewed after twenty-eight years, but repeated searches in the Library of Congress have turned up no renewals of any kind. 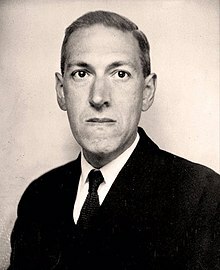 Of the stories Lovecraft himself controlled, by law only he, his heirs, or his executor could have renewed the rights, but this was never done. Chris Karr has reviewed these documents and has published a report of his findings at http://www.aetherial.net/lovecraft/index.html . In short, there are no copyright records that reference any of Lovecraft's original stories (only the Arkham House compilations), but the copyrights to "Weird Tales" were renewed properly, and works published prior to 1926 (when Lovecraft is thought to have sold full rights to "Weird Tales") in that magazine may be subject to protection IF they were published in "Weird Tales" for the first time. Joshi identifies thirteen works and believes that seven of those thirteen had been published elsewhere previously.